The leading independent specialist for windscreen replacement and windscreen repair based in Workington and serving all of the Workington area. National Windscreens Workington fitting centre provides windscreen replacement and windscreen repair services to businesses and individuals throughout Workington and the Workington area. 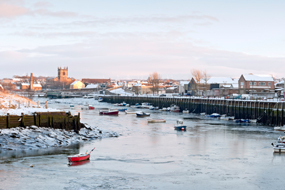 The town of Workington sits on the very north coast of the UK in the county of Cumbria. The A596, A66 and A595 all provide access to the town, whilst the M6 to the east allows speedy access to the north and Carlisle and Manchester in the south. In 2006 the town underwent a huge redevelopment programme which saw £50 million invested in the construction of a new shopping centre, Washington Square - providing a modern and attractive retail centre for shoppers. The Workington windscreen fitting centre and its mobile vehicle glass technicians service the needs of Workington and the surrounding area including Whitehaven, Maryport, Keswick and Cockermouth. With 108 fitting centres and over 800 mobile technicians, National Windscreens operates the UK's largest windscreen repair and windscreen replacement network. The company provides low cost, high quality windscreen replacement and windscreen repair from its Workington fitting centre 24 hours a day, 7 days a week, 365 days a year. Repair and replacement of all types of vehicle glass including windscreens, rear windows and side windows is undertaken throughout Workington and all of the Workington area.